Outdoor air pollution is responsible for around 40,000 deaths in the UK each year, according to a new report by the Royal College of Physicians. It's a scary headline number. However just as significantly this is also one of the first reports to recognise how important indoor air quality is to our health. After all, we spend around 90% of our time inside, whether at home, at work, or commuting. Indoor air pollution is not a new phenomenon. Since the dawn of history, humans have burnt wood, peat or coal to produce heat. The walls of caves, inhabited millennia ago, are covered with layers of soot and mummified bodies from the stone ages often have blackened lungs. A passage in Leviticus indicates that Biblical people were aware that damp buildings were a health risk. In the 18th century it was recognised that "want of ventilation" resulted in increased rates of infectious disease. By the mid-19th century it was being reported that "deficient ventilation … (is) more fatal than all other causes put together". Around the 1960s research into indoor air quality really began to take hold. Initially it highlighted the dangers of radon and tobacco smoke before extending to formaldehyde (a common household chemical that can cause cancers and respiratory problems) in the early 1970s, house dust mites and sick building syndrome later that decade, and eventually focused on allergies during the 1990s. Since the millennium interest has moved towards developing countries where around 3 billion people cook and heat their homes using open fires and simple stoves burning wood and coal. 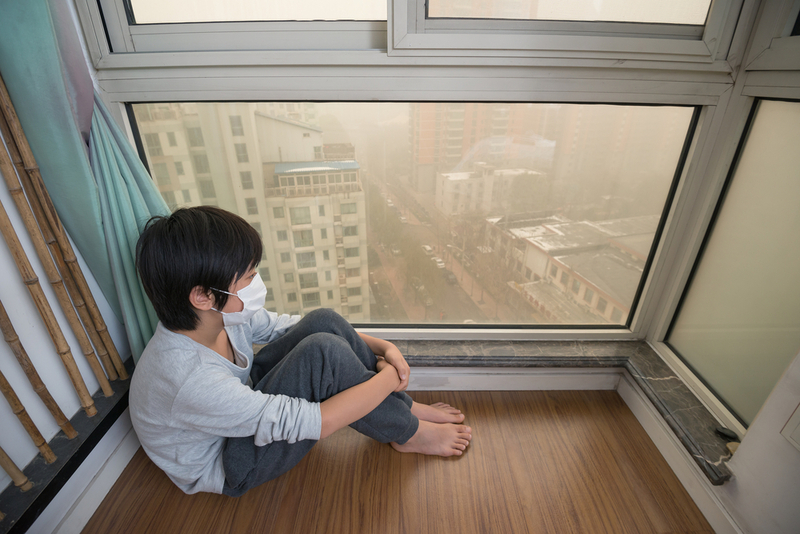 The subsequent indoor air pollution results in 4.3m people a year dying prematurely. The World Health Organisation estimates around 99,000 deaths a year in Europe from indoor pollution. Assuming these deaths are equally distributed across Europe one would expect around 9,000 deaths in the UK. While there is legislation to reduce exposure to pollutants in the workplace, as well as tobacco smoking legislation that now prohibit smoking in public spaces, it is extremely unlikely that any government would try and impose air quality standards in private homes. A typical home has lots of different sources of pollution: heating, cooking, cleaning, smoking, perfumes and furnishings. Even the simple act of moving about stirs up particles. Demands to improve the energy efficiency of buildings comes with the concern that more airtight homes could have an adverse effect on indoor air quality. The air inside your home may already contain all sorts of unwanted stuff such as particulate (microscopic bits of solid or liquid matter), carbon monoxide, oxides of nitrogen, formaldehyde, radon, and volatile chemicals from fragrances used in conventional cleaners. Then there are the "bioaerosols" – bacteria, fungi, viruses, house dust mites and bits of skin shed by furry or feathered animals. Even peeling an orange has been shown to increase the number of particles by several orders of magnitude. 1. Do as your grandparents did and open the windows to increase the ventilation. If you're cooking it is important to use the extraction fan otherwise levels of nitrogen dioxide can exceed those on the most polluted roads. 2. Don't smoke indoors or use candles. If you have a wood-burning fireplace ensure it is fitted and used correctly. Install a carbon monoxide detector as this "silent killer" leads to around 40 deaths each year in the UK. 3. Chose hard-surface floors. They're easy to clean, and carpets can let dirt and pet hair escape back into the air. 4. Try to keep the humidity level in your home between 30% to 50% and always ensure proper ventilation in damp areas, such as bathrooms. This helps prevent mould which has been linked with upper respiratory tract symptoms. Some people are more sensitive than others including babies and children, elderly people, and those with respiratory problems such as allergies and asthma. 5. Use a doormat to prevent dirt from entering into your home and/or ask people to take off their shoes when they visit you. 6. Reduce your use of cleaning products or air fresheners, especially those containing limonene (which gives the lemon citrus smell). 7. Get some houseplants. Studies by NASA and the University of York for the BBC both found that plants could reduce levels of formaldehyde in the home. 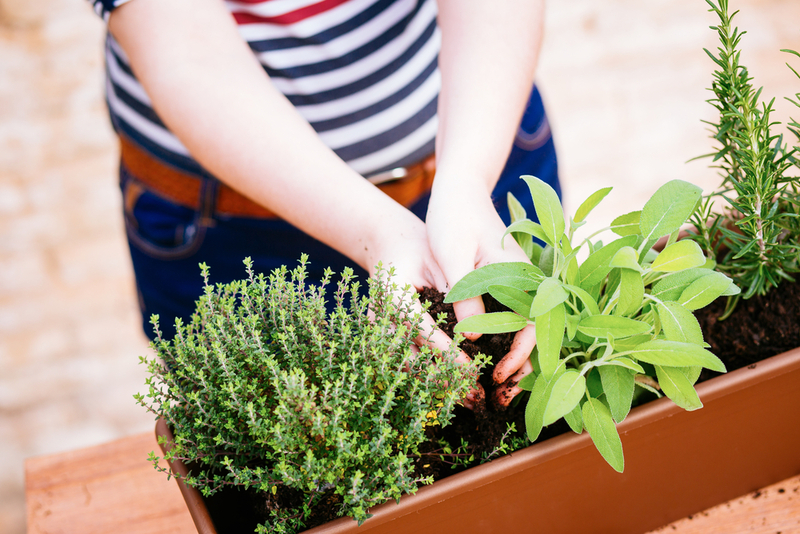 Read this next: Creating a planet-strong home – Tips for renting sustainably.